The fact goes without saying: charities are also brands, hence, they need a compelling visual representation to get their messages across—to efficiently inform, connect and empower people for the good causes. One of such charities, the UK Veteran’s organisation Stoll, has reached bluemarlin to help them launch a new range of condiments Force Sauces, created in 2009 by a charity activist and a Veteran Bob Barrett. 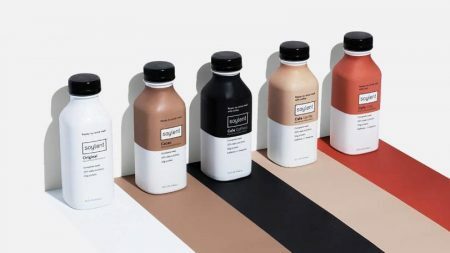 This unique charitable brand needed a packaging and visual identity to boost sales for good—from every bottle sold 6 pence were donated to Stoll and The Royal British Legion to support vulnerable or disabled ex-servicemen, or those currenty serving. The Force Sauces’ bottle design features a recognizable “soldiering” structure, military-style graphics and catching copy that tells the true story of Bob Barrett who received help from Stoll when was in need and then decided to give back. In 1967, Bob joined the Army to serve as a Quinn’s Life Guard. In 2004, when he was diagnosed with cancer, he reached Stoll for accommodation and support. After he recovered, in 2005 Bob opened The beef Kitchen, serving hot roast meat maps at Stoll’s entrance gates to raise money for the charity. 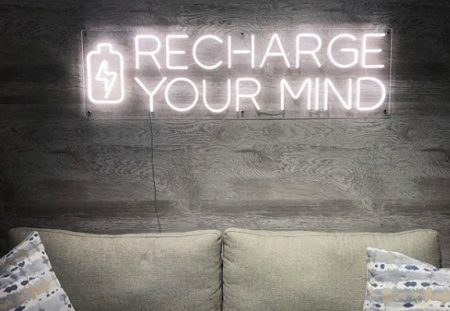 Three years later, he founded his next charitable company Pryors Bank Café, an eatery run by a team of Veterans with an apprenticeship programme supported by The Royal British Legion. And, finally, 2009 saw the birth of a new condiment range Forces Sauces. Bluemarlin worked on every aspect of the branding for Forces Sauces: they developed positioning, structural packaging and graphics, tone of voice, commercial realization, and helped find a manufacturing partner. 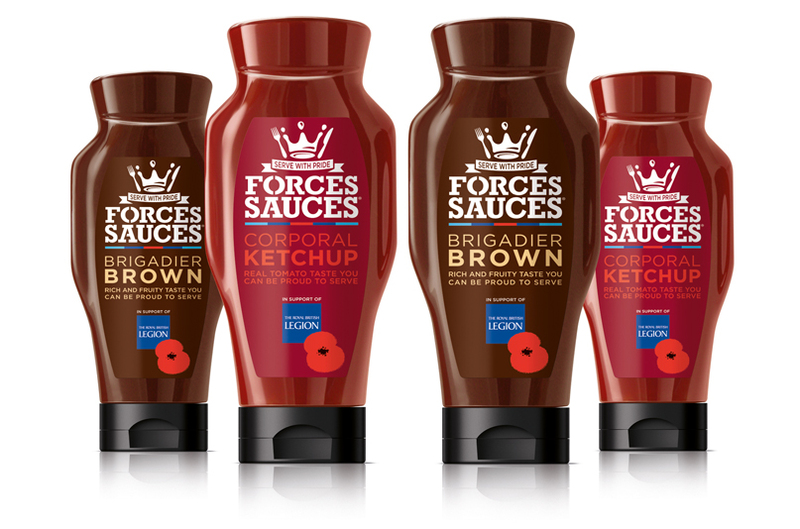 The Forces Sauces rolled out in the UK retail stores this June. Posted in Design and tagged Blue Marlin, food, package design, UK. Bookmark the permalink.